We're going to start at the corner, since that's what this tutorial is all about. View the quick video at the end of this tutorial for more visual help! Begin stitching down your binding. Stop stitching your binding down approx. 2-3 inches from the first corner. Place the 45 degree angle of your QP Seam Guide directly at the corner. Make a mark with your pencil along the 45 degree angle approximately ¼" long. Continue stitching your binding down, once you get to the marked line, follow it directly off the quilt edge and cut the thread. 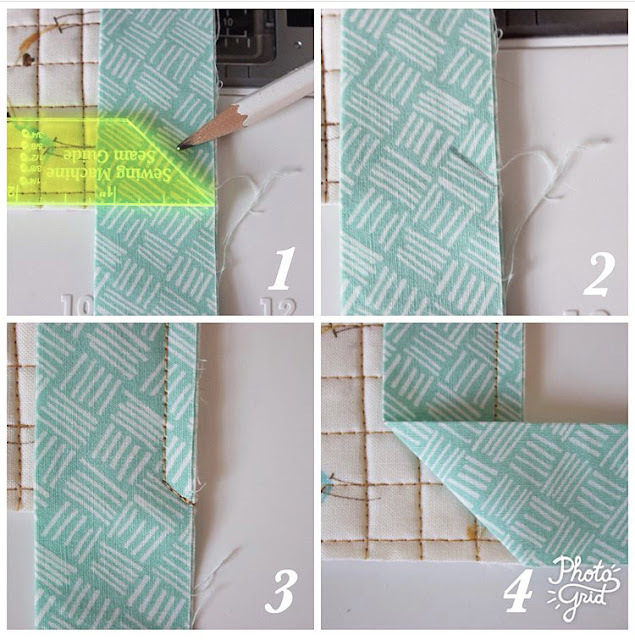 Take the tail of the binding and fold it over your corner towards the right side. 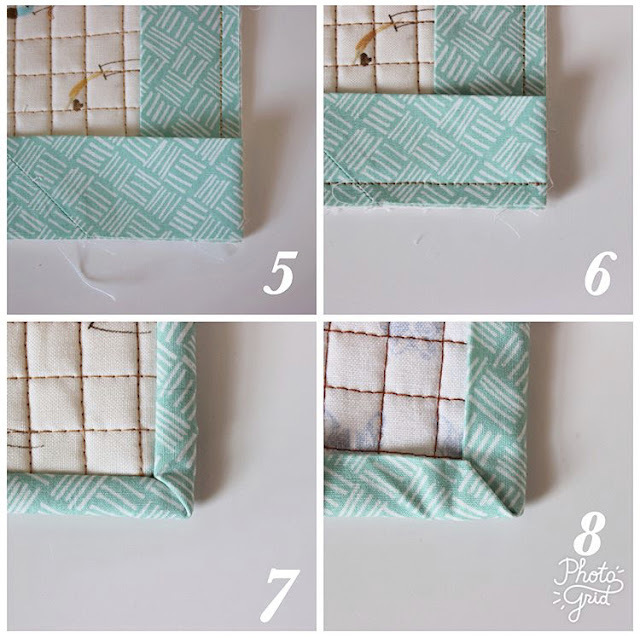 Now, bring the binding back towards the left, lining the short edge of the binding up with evenly with the right edge of the quilt, creating a fold. Begin stitching the binding down again until you reach the next corner. Repeat Steps 1-5 until you're done with all corners and connected the binding ends. Next, fold your binding over the raw edge of the quilt and secure to the back side with clips or pins. Starting with one corner first, flatten one side of the binding down to the backside of the quilt and straight across the corner. Fold the adjacent side over to create a mitered corner where the two binding sides meet. Repeat for all corners. I hope this helped you! 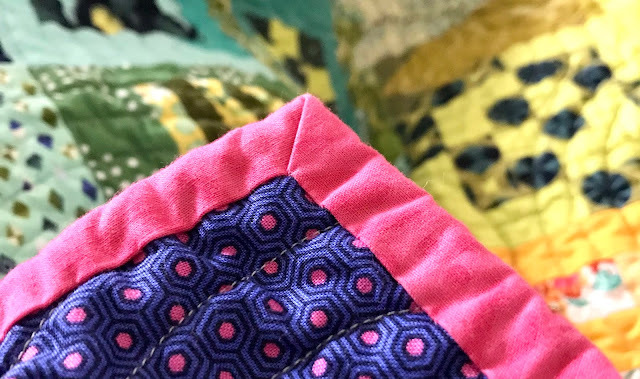 I find it easiest to put a single pin directly at the mitered point before stitching down the binding to finish off the quilt, just so the point doesn't slip at all. Thank You for one of the Best Tutorials on the Mitered Corner !